Lookie lookie Christmas cookie! Start planning your route for Thursday night! 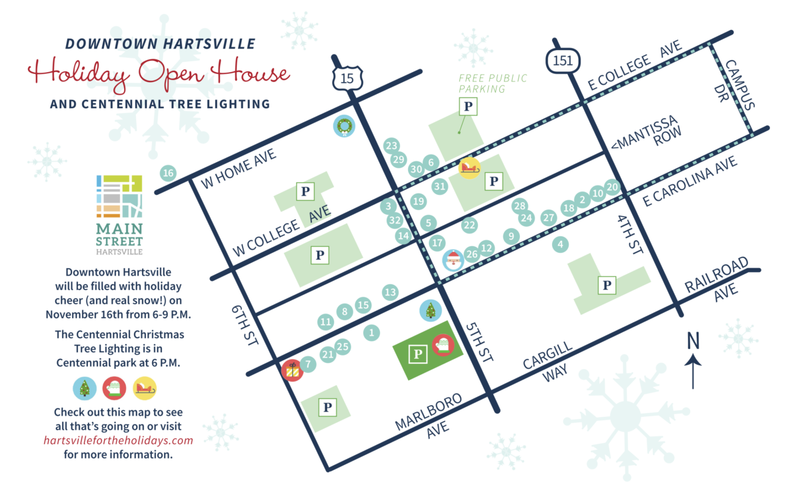 #hartsvillefortheholidays #experiencehartsville #showsomelocallove! 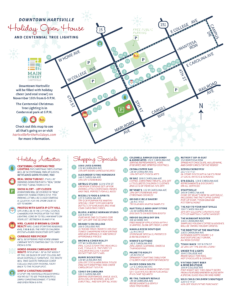 We’ve got a nifty map for you to use while you explore and shop in Hartsville at the Downtown Holiday Open House on Thursday. Click the button below to open an interactive Google Map of the event that shows all of the activities and shopping specials that are going on downtown. If a PDF is more your style, we’ve got that, too! Click the thumbnail below for a PDF version that’s great for your pocket or the bulletin board at work!